As much as I enjoy cigars and sharing my experience with our readers, it is not always easy to pinpoint what I am going to be writing about or what experience I will be sharing. Typically, I centre my articles around an event I have attended, a celebration or a special place I have visited. Being an avid collector who loves enjoying the cigars I procure, I always seem to have experiences to share that help shape my articles and reviews. 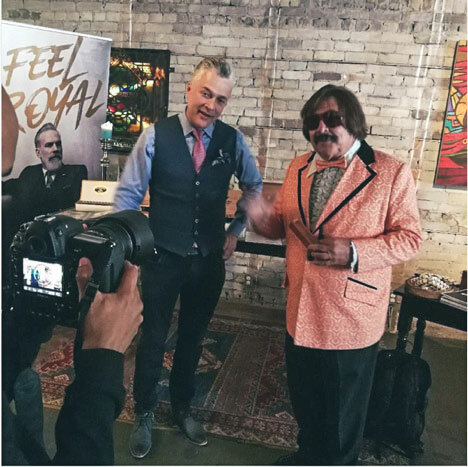 Over the last few months I have been involved with several cigar- centric events and have enjoyed more than my share of great cigars in the process. During these events, people often ask me a lot of questions about cigars and I enjoy sharing what I have come to know. Sharing about the knowledge I have acquired is usually done over a cigar or two. There is something truly special that happens when you smoke a cigar with someone. It doesn’t matter if it’s connected to business or occurring in a social environment, in the right setting a cigar helps bring down the walls of separation. In our fast-paced world, a cigar helps take the edge off at the end of a stressful day and stimulates quality bonding with others. A part of me feels this is the continuation of one of those traditions that we’ve had for centuries, going back to the days that it was customary for people to gather in smoking rooms. Maybe some of the essence of this is what first caused me to gravitate towards vintage cigars, but in the end, I am sure there were many contributing factors. The truth is, I love cigars and embrace the experience that accompanies smoking them. It is not just about standing on the street smoking a cigar, but the experience as a whole is more of a social elixir and a fertilizer for quality relationships with like-minded people. I seem to pursue this more than most and have been awarded many amazing opportunities along the way because of it. It is safe to say this is a real passion for me. Over the last few months I have attended cigar auctions, purchased collections overseas and made selections from 2016 for my ageing program. During the Toronto Film Festival, I was awarded the honour of selecting the top five recommended cigars for TIFF and Hollywood entertaining. 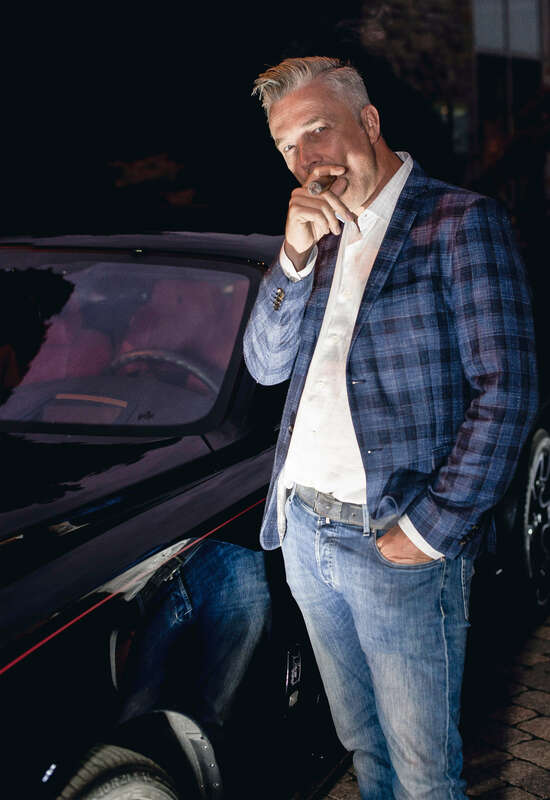 The picture in this issue was taken at an exclusive Grand Touring Automobiles event at which we also showcased the cigars from TIFF, including the Daniel Marshall Gold Torpedo. Each of his cigars is wrapped with over fifty 24k Italian gold leaves and has its own individual coffin that was signed by Daniel Marshall in 2011. There was a limited production of only 300 of these cigars made. So where do I really begin to make my selection with so many cigars to choose from? When all else fails, I reflect back to the cigars that stand out from the rest. There were many I could have chosen, but this particular cigar was an amazing smoking experience and far better than I expected. It is a cigar I have smoked before, but this time the cigar came even more alive. The vintage cigar I will be reviewing this issue is a Cohiba Siglo iii from 2012, so it was aged five years at the time I smoked it. Six Inches of smoking pleasure with a 42-ring gauge. Each cigar was individually boxed and packaged in boxes of five cigars. The case was from a 5-25 box, meaning it had five boxes of five cigars in the case and stamped 2012. This cigar was first introduced in November 1992 and later released commercially in 1994. The cigar commemorated the 500th anniversary of the arrival of Columbus. It was on the voyage that cigars were first discovered and brought back to Europe. The Siglo line is normally considered quite polite as far as cigars go, in terms of strength and flavor. This cigar from the onset was a very rich creamy smoke and offered subtle hints of nutmeg and spice. Being someone who tends to enjoy more medium to full body cigars, this vintage took shape in ways I did not expect. With properly aged Cuban cigars, the natural oils from the blend of tobacco leaves have an opportunity to fuse together. This is where the magic can happen. Aged right, some cigars can really transform as you smoke them. This is not something you can expect to experience the same way with young cigars. As I worked through the cigar, it opened up ever so smoothly and by the end of the cigar I could hardly put it down – what a punch. I also discovered throughout, that the smoke it produced was oily, full and was complimented with a perfect draw. I savored every pull with increasing appreciation as the cigar smoking progressed. The construction of this particular stick was exceptional, not too loose and not too tight. It had an amazing oily wrapper with no visible imperfections. By the midway point I was already in love with this cigar and knew it was a winner. The progression of flavour was extremely smooth, yet also increasingly satisfying and complex, making its presence more known. What started at what I would classify as a medium bodied smooth smoke, matured into a medium to full body cigar. It completely opened up and I can still mentally savor the experience this cigar delivered. It’s superb construction and beautiful presentation are well worth the price of admission. Without any difficulty or hesitation, my preferred vintage rating for this cigar is a 96. This further demonstrates that you can never judge a book by its cover. I would never have thought I would be awarded such a rich experience from this cigar. As for my next stop, the Partagas Festival in Havana. Let the journey continue and until we connect again. 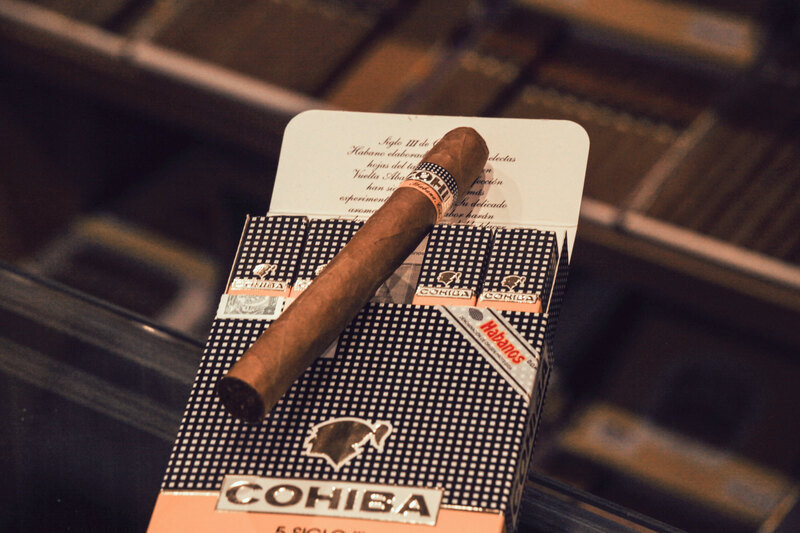 Embrace your vintage cigar experience and everything that comes along with it.